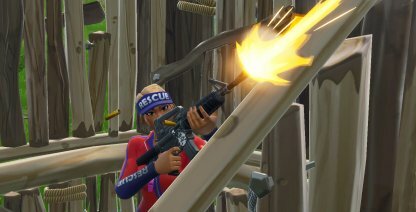 This guide will teach you how to edit structures when engaging enemies in a build battle. 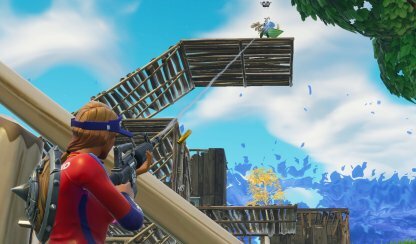 Learn some editing, crafting tips and tricks to eliminate enemies and get the Victory Royale. Editing allows you to further alter the structures you've created. You can create windows to peek through, doors to exit, and more. Using the edit function can also give you a window of opportunity to shoot down your enemies! You've found an enemy covered in their own structures. They're healing up, and reloading for the next fight. Here's one way on how you can get the jump on them! 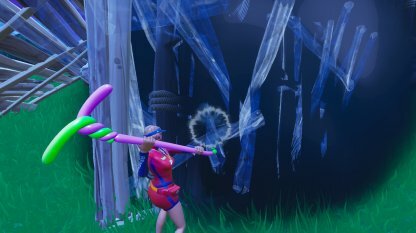 Using a pickaxe or rapid fire weapon, destroy the enemy's walls to penetrate their defense, and expose them to the open. 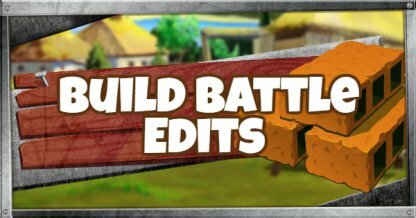 Immediately after breaking down their wall, build your own wall so that enemies can't edit their way out! Now edit an opening where the enemy is in your view! Step 4: Aim & Fire! Now that you're enemy is exposed, you can shoot down you're cornered opponent! You can also use editing to face enemies further off! 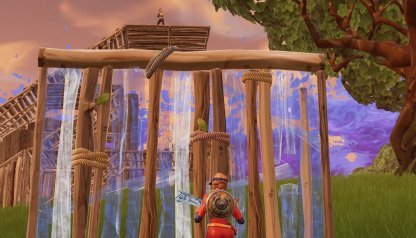 Building a wall and editing out a part of it can serve as your vantage point! Editing also covers most of your body so you expose part of yourself! Building a wall will break the enemy's line of sight from you. This will make them watch the edges of your wall and wait for you to peek out from them. 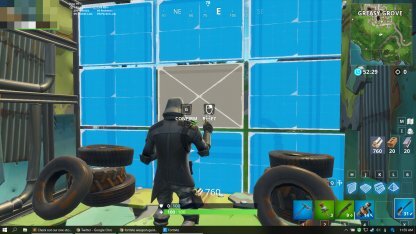 To surprise your enemy, edit out a part of your wall and use it to peek at where they are. Now that the enemy is in your line of sight, you can line up your shot and fire! It is recommended to edit out triangles from your structure since it offers you vision while covering most of your body. 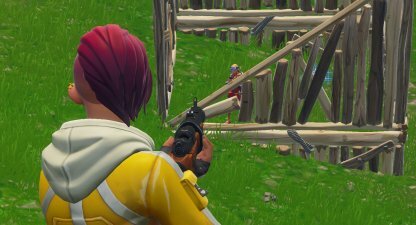 You can shoot at enemies from an angle where they can't hurt you back! 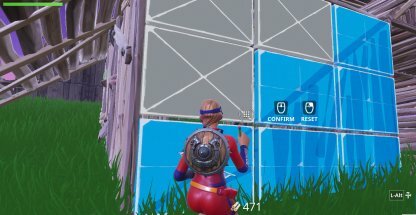 Enemies may expect you to edit out a window and might have their aim trained in the middle of the structure. 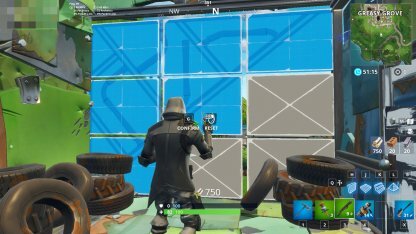 Editing in triangles will throw them off, and give you vision and more cover compared to windows! Practicing your editing is a good way to pick up speed! 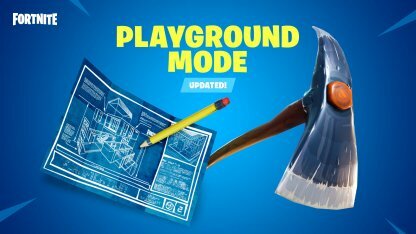 Heading to Playground Mode can help you edit faster so you can eliminate enemies quicker! It is recommended to use effective weapons when editing offensively in close range. Some examples of effective weapons for each range are listed below. 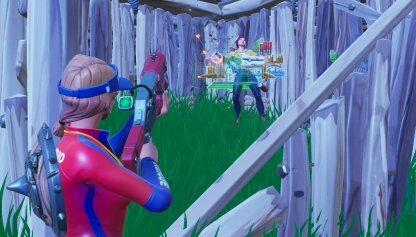 Shotguns can cover a wide area in front of you in a single shot. Use this to spread bullets in the enemy's general area. 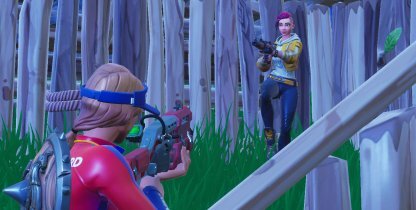 Assault Rifles can chip away at an enemy's health from mid range. Use this to continuously rain down your bullets on the enemy! 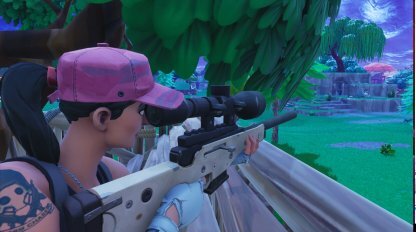 Sniper Rifles may take some time to fire consecutive shots, but it greatly deals damage with a single shot! 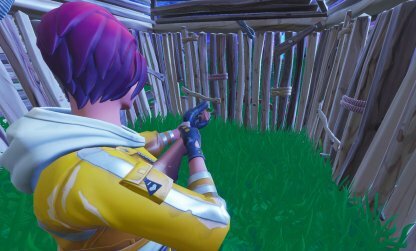 Remember to aim a little higher because this weapon has bullet drop!